Everyone talks about that one conversation that turned their financial life around. 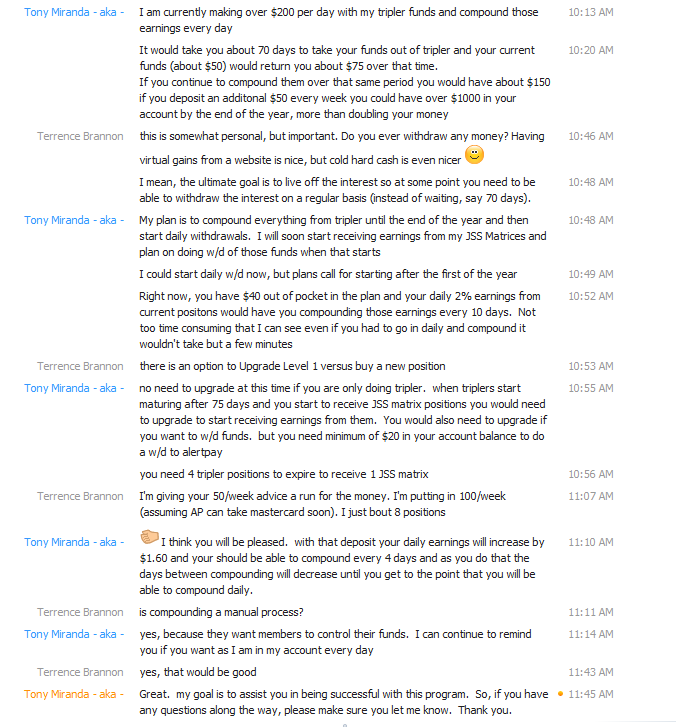 Well, below you see a conversation between me and Tony Miranda, where he discusses the power of JSS Tripler. I am putting his assertions to the test and hope to have good news in 8 weeks!